Postgraduates at the University of Edinburgh is seeking papers for the Latest Learning Colloquy. There is so much exciting work going on amongst the postgraduate students of the School of Literatures, Languages and Cultures. 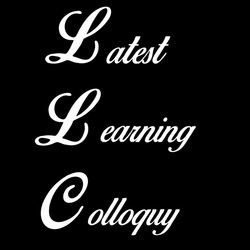 The Latest Learning Colloquy intends to showcase that research. It will provide a friendly environment in which to air your ideas, try new ways of presenting, and engage with your LLC postgraduate colleagues. All speakers will be given the opportunity to receive constructive feedback on their presentations. Prizes will be awarded on the day for outstanding papers. A number of papers by colloquy participants will be selected for publication in a special issue of FORUM. For details on how to submit visit llccolloquy.weebly.com or email llccolloquy2014@gmail.com. The Latest Learning Colloquy is kindly funded by The Researcher-Led Initiative Fund.